Troy and I love to entertain. We have hosted three out of the last four Christmas's for family, have had Adalyn's birthday parties, baptism, countless bonfires, birthday parties, etc. We try to keep our home tidy regularly but hello, we have a toddler who I will jokingly call a tornado. Getting your home in guest-ready condition can take some work if your home is very messy or maybe you keep your house already in good condition. 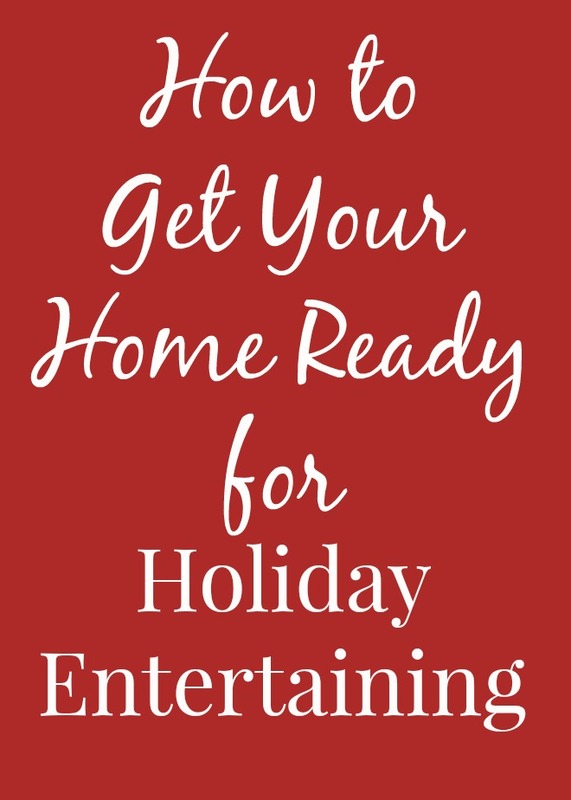 I want to share some of my tips of what I have learned over the last 5 years or so of entertaining and what has helped me not lose my mind when having 50+ people coming to your home. The first thing that I do when planning a party is to create Google Document for the party. I include who is invited to the party, party times, food I plan to serve, what I need to buy and what I need to do before the party. This helps me so much in staying organized and feeling as relaxed as possible. If you try to get your house completely together a day before a party, you may go a little crazy trying to get everything done. We start at least a week ahead of time and do the things that can be done early, early. We can dust at least a few days ahead of time. We can shop for the food ahead of time and get out the extra chairs we may need, etc. I know that I cannot throw a party alone, especially with Adalyn around. I rely on Troy to help for all parties and he has gotten so good at saying, "okay Amanda, what can I do?". He is awesome at washing the floors, vacuuming and doing dishes especially. Troy and I are a team and I could not do it without him. Also, many of our parties are potlucks which makes it so much easier to entertain. 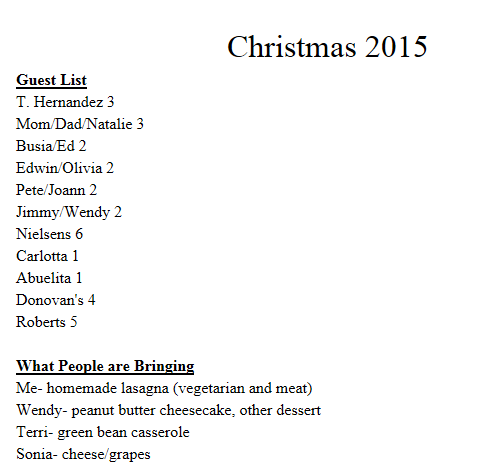 Troy's family has always done Christmas day as a potluck and it helps so much not having to do all of the cooking. Then, when we go to someone else's house, we know to automatically ask what we can bring. There are of course things that you cannot do until the day of the party and this list makes me crazy! I love to be prepared but there are certain things that are best done at the end. We usually wait to vacuum until at least the night before so our rugs look extra clean. We cannot finish all of the cooking ahead of time. We always have to clean our windows right before the party because our dogs put their noses on the one window to bark at any person or animal that goes by. Cleaning the kitchen and sweeping the floor gets done last, otherwise, it looks bad again before our guests even get there. Our dogs do not shed like crazy but before a party, I want to make sure that there is no pet hair floating around, especially on our suede couches which it sticks to a little bit more. We love the Scotch-Brite™ 50% Stickier Lint Rollers from Target which work so well and quickly to remove anything we need removed. The 8" roller is new to me and awesome for cleaning larger surfaces. That way, you do not have to spend forever rolling. These work really well on soft surfaces such as couches, fabrics, carpet and upholstery. It is 50% stickier than other rollers to be able to get more than just lint and hair, it can also pickup crumbs, sand, glitter, etc. Learn more about these lint rollers here. For 15% off these rollers, use this Target Cartwheel offer from 11/27-12/3.